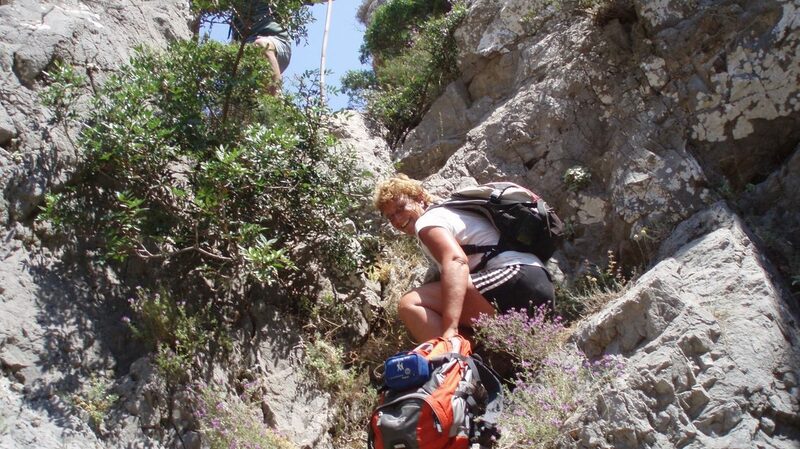 Pyrgos House organizes a canyoning tour in the North-western part of Kythira. 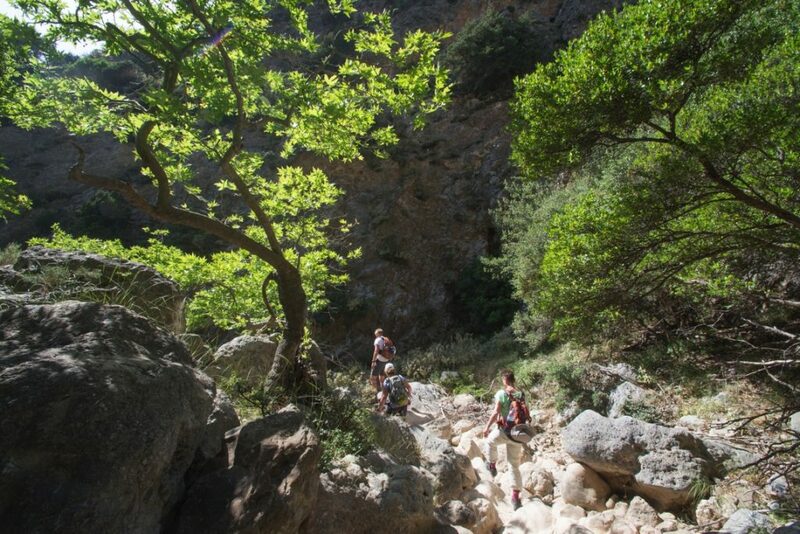 From Dourianika you descend into the gorge that ends at Koufogialou on the west-coast. The idyllic bay with its stunning beach and crystal clear blue water is the perfect spot to relax after this exciting tour. 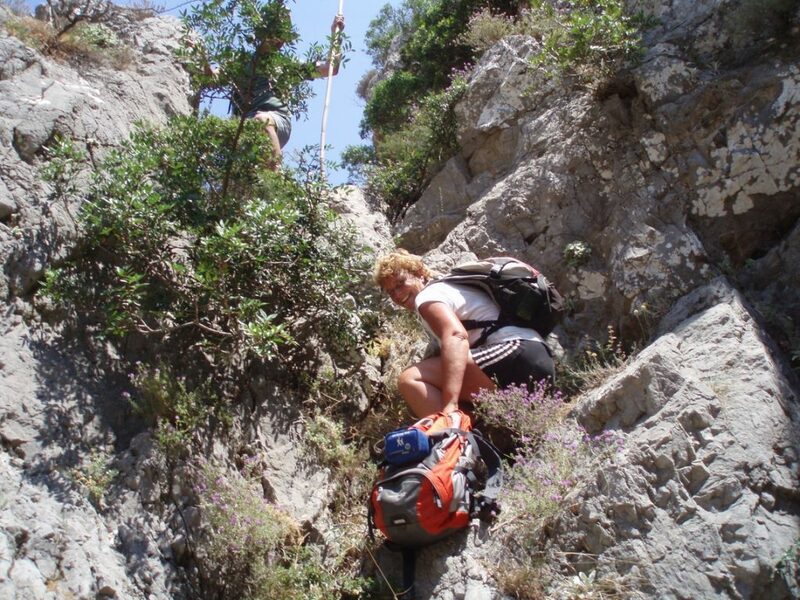 Guide Alexis lives in one of the nearby villages and as a boy, loved to go exploring in Koufogialou Gorge. 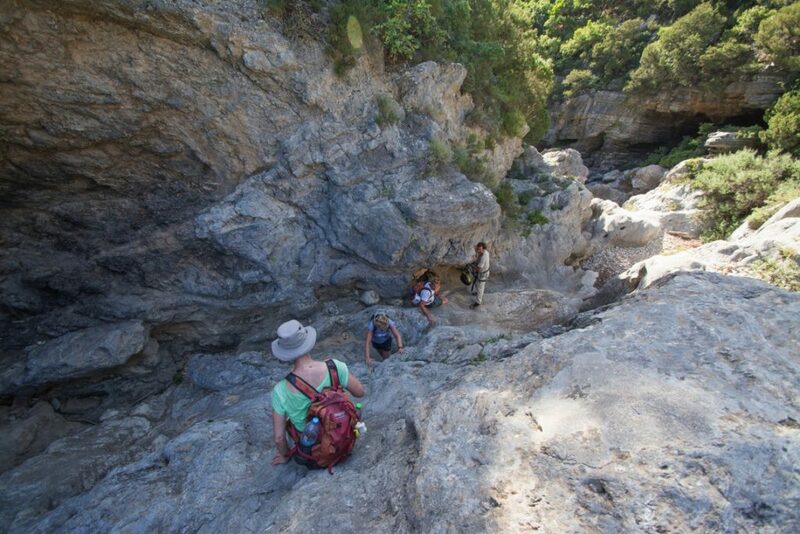 He will show you impressive caves, old cedar trees and beautiful cliffs. When the sea is calm, you will be swimming with Alexis to some caves and if you are lucky, you may even see seals. 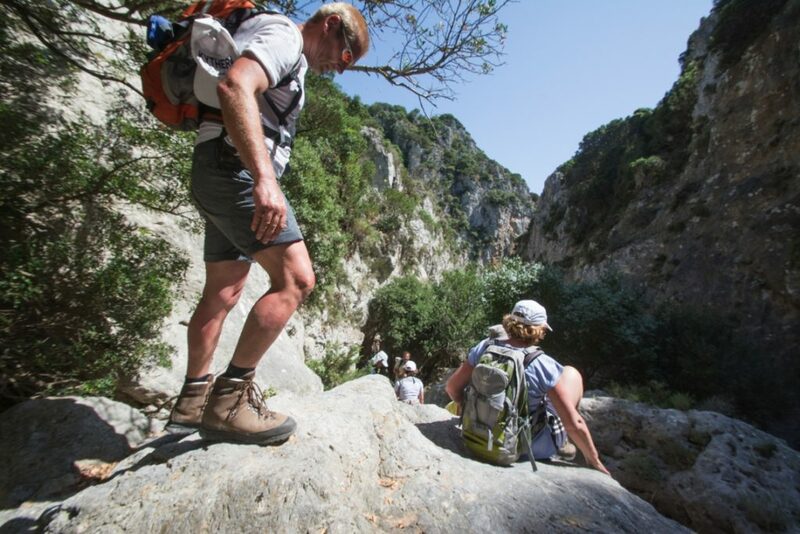 The contours are easy to cope with so you will be walking most of the time, but occasionally you will have to climb down. 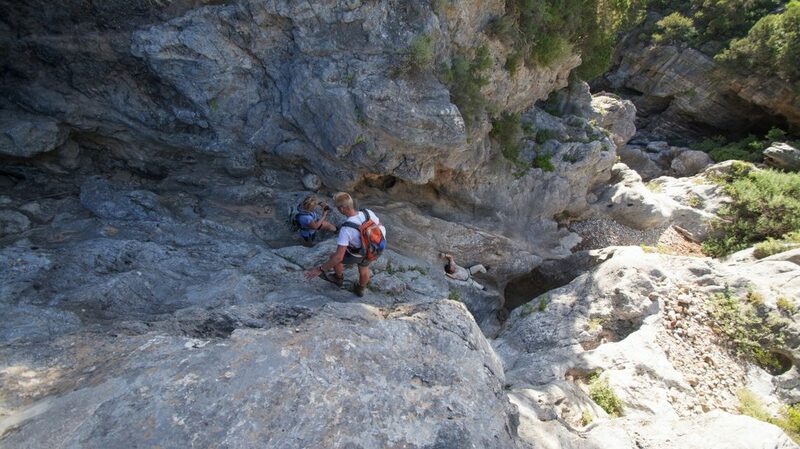 You won’t be using ropes and there is no abseiling. The whole tour will take about five hours. 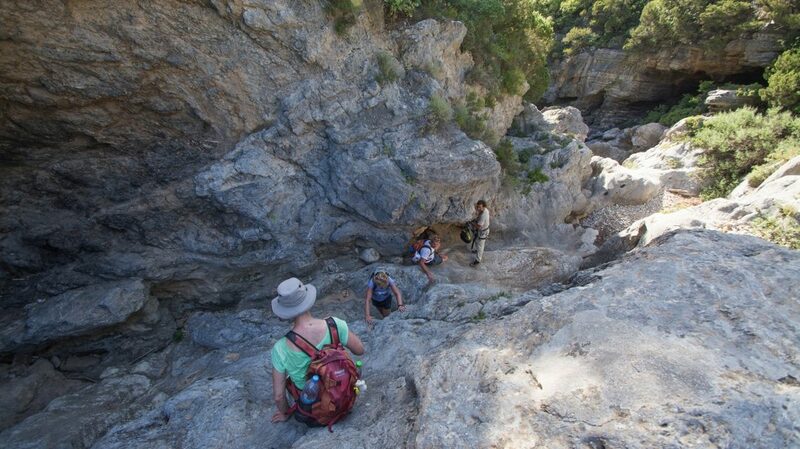 • Weekly on Tuesdays, departure at 2.30 pm from Potamos square. 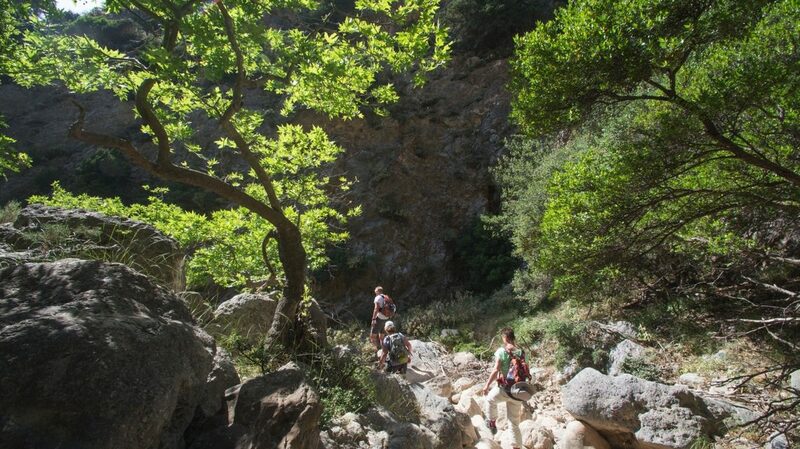 • Price: € 45,00 per person (including transportation from Potamos to Dourianika and from Koufogialou to Potamos). • The groups are small (minimum 3 and maximum 7 participants) and advance reservation is required. 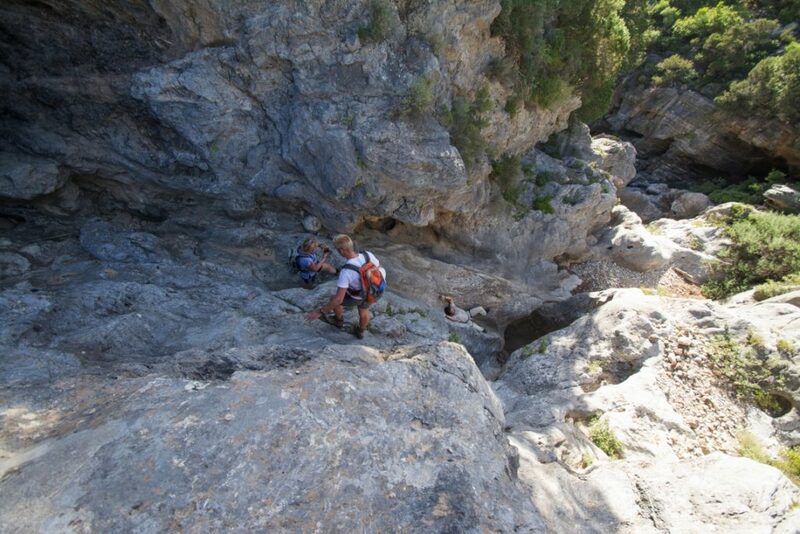 • In order to participate, you don’t need to have any canyoning experience, although your physical condition needs to be good. 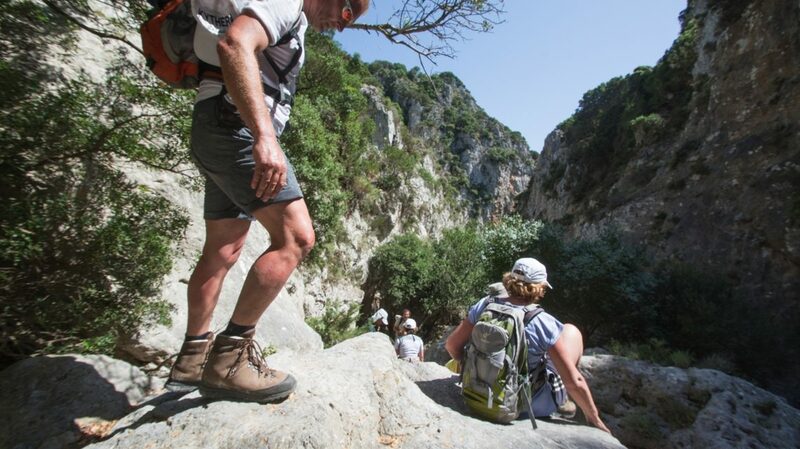 • Wear decent sport or walking shoes. 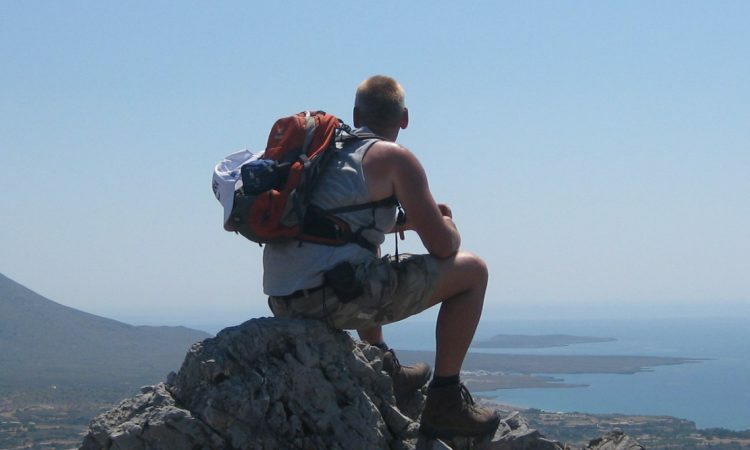 • Take drinking water, a camera and, of course, swim wear for a refreshing dip in the sea after the tour. 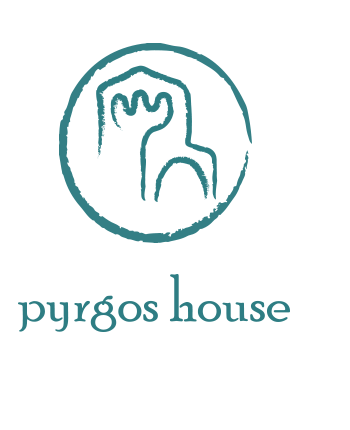 • Pyrgos House cannot be held responsible for any incidents during the tour.